SkuVault has been a popular warehouse management tool since its release in 2011. Over the years, though, numerous competitors have developed products that offer more features and greater functionality. Before you can choose the best alternative to SkuVault, you’ll need to learn about the software’s pros, cons and what the competition does better. Open API that lets companies personalize the application. Ability to manage multiple warehouses, even when they’re located in other countries. Forecasts based on sales data. Option to sync with multiple inventory channels and POS systems. Barcode scanning at bin locations. Useful inventory reports that update constantly. “Hyper Picking” feature that lets users create pick lists based on inventory counts and bin locations. Some organizations also like SkuVault because it can handle bundles, kits and variations, which makes it a very flexible application that conforms to the needs of unique businesses. There’s no doubt that SkuVault has features, which can make it a great warehouse management system (WMS). Unfortunately, the software has fallen behind some of biggest competitors. A closer look reveals several limitations that can make it difficult for today’s e-commerce companies to reach their goals. Its inability to fulfill orders from within the system, a fault that seems unexplainable in today's world of sophistication e-commerce apps. Its requirement for you to connect with ShipStation and listing tools like Channel Advisor or Webgility, which adds to management costs. The company’s decision not to handle listing to marketplaces. A limited number of out-of-the-box report options, which forces you to either accept a sub-par option or spend a lot of time making your own. The software also makes it difficult for potential clients to decide whether its application is the right choice for them. Anyone interested in this WMS gets a generic demo that doesn’t address specific concerns. This makes it nearly impossible for companies to determine whether SkuVault has the right features when it comes to improving warehouse management and sales. Finally, SkuVault is an expensive option. The company charges a fee for every user in the system. If you need to add a new user, then your fee will increase. It doesn’t help that the base application costs $2,000. Depending on what features you need and how many users you want, you could end up paying as much as $16,000. Other companies can offer similar, if not better, software options at significantly lower prices. If you’ve been using SkuVault successfully, then you might not be thinking about finding an alternative to SkuVault. However, the system has fallen so far behind its most ambitious competitors that it’s smart to learn more about similar software options. You want a more efficient system that can fulfill orders. You find that you’re wasting a lot of time with additional listing and shipping tools. 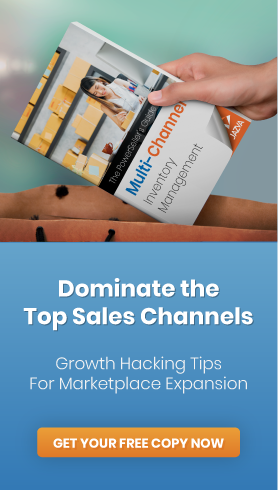 You notice that your sales haven’t grown recently. You want software that can handle listing to marketplaces so you don’t have to use additional apps or do the work manually. Managing multiple channels from one place. Improved efficiency from the software’s integrated shipping feature. Dynamic repricing to keep you competitive. Custom reports that work for your business’s unique needs.